Hey guys! 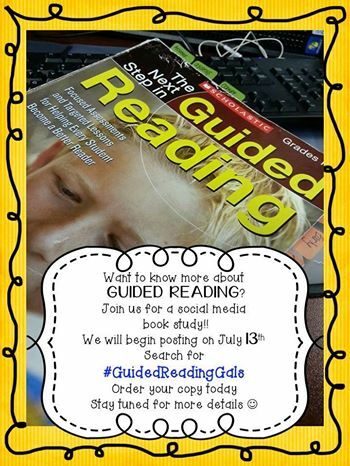 I'm teaming up again with the amazing #GuidedReadingGals for Chapter 2 of our book study The Next Steps in Guided Reading. This week the amazing Laura from Where the Magic Happens is hosting our book study. Go check out her page for a more in depth study on Chapter 2. This week I want to focus on the assessment aspect. I know, I know. Assessment is like that dirty word in education. And believe me. I used to dread doing assessments. I felt like it took me forever to assess my kids and there was so many other valuable things I could have been doing instead. 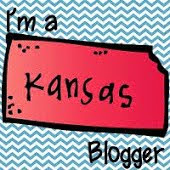 Then one day after venting to a blogging buddy, she told me about this awesome program called ESGI. I wasn't ready to add one more assessment to my long list of assessments but I still gave it a try. And Oh-Em-Gee am I so glad that I gave this a shot! I was able to assess everything that I needed for our Kindergarten assessments! I was able to assess letter identification, letter sounds, sight words, and so much more! 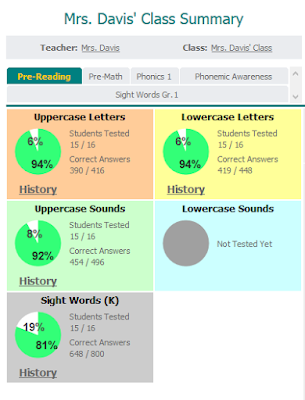 You can even quickly create your own assessments to fit what you need in your classroom. This has become a lifesaver for me. The assessments are super quick and all done on the computer so you have no paperwork or flash cards to keep track of. 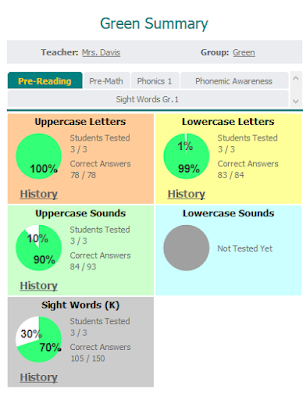 After you assess your students you get these awesome pie graphs for the entire class and for each individual student. You can see what your students know and don't know at a quick glance without having to shuffle through thousands of papers or anything. Amazing right! Ok, now what does this have to do with Guided Reading? Just bare with me. I promise I am getting there. Before you can begin Guided Reading Groups, you have to assess your students to see where they are and what they need to work on next. ESGI definitely helps you see where your students are as a whole and as an individual. Now here is the cool part. ESGI also helps you group your students and allows you to put your students into groups. I know, amazing again! Once you place your students into groups on ESGI, you can pull up just their data and see what they need to work on in small groups. Lifesaver!!! Here is one of my groups from last year. You can tell from this chart that as a whole, they are pretty strong on letter identification and sounds but need more practice with sight words.Well, that is a little helpful. 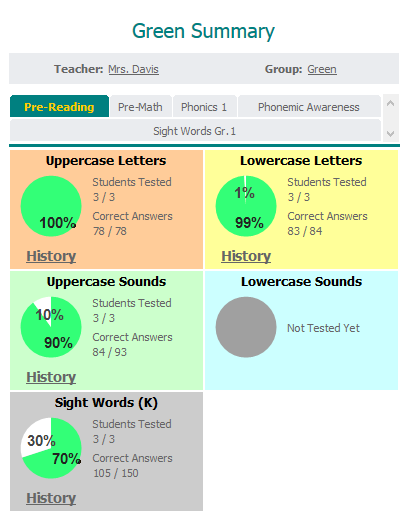 I know I need to focus more on sight words but we test about 120 a year!!! What sight words do they need help with!!!! Well, ESGI has you covered. They have charts to show which words the group needs to practice. Ok, you may now thank me and ask where this has been your entire life! 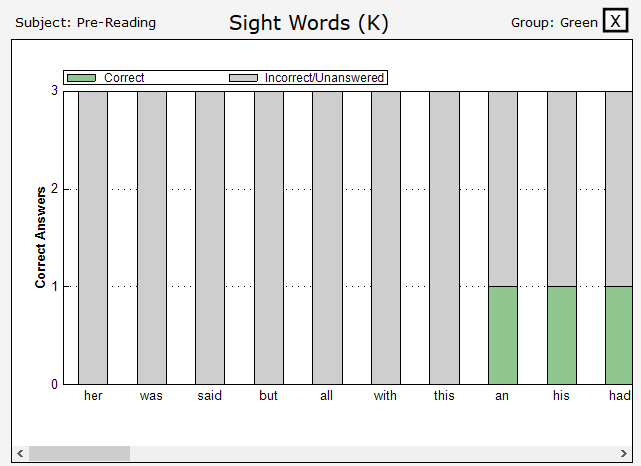 So I can tell from this chart that the words her, was, said, but, all, with, & this should be our focus. I can break these words into several days/weeks of instruction and choose 2-3 words to focus on during each meeting. I can also tell that only 1 person knew the words an, his, & had. I should also focus on these words during Guided Reading lessons. You can scroll through all of the tested words to see how many students in the group read each word correctly so you know what words to focus on during your Guided Reading time. 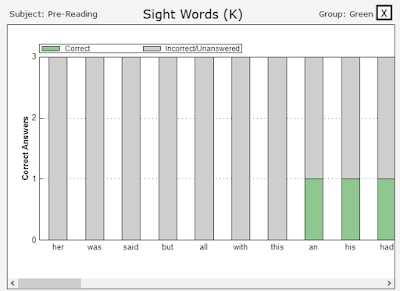 ESGI has been a lifesaver for me last year and especially in Guided Reading groups. It helps me assess my students quickly so that I am not losing valuable instruction time. 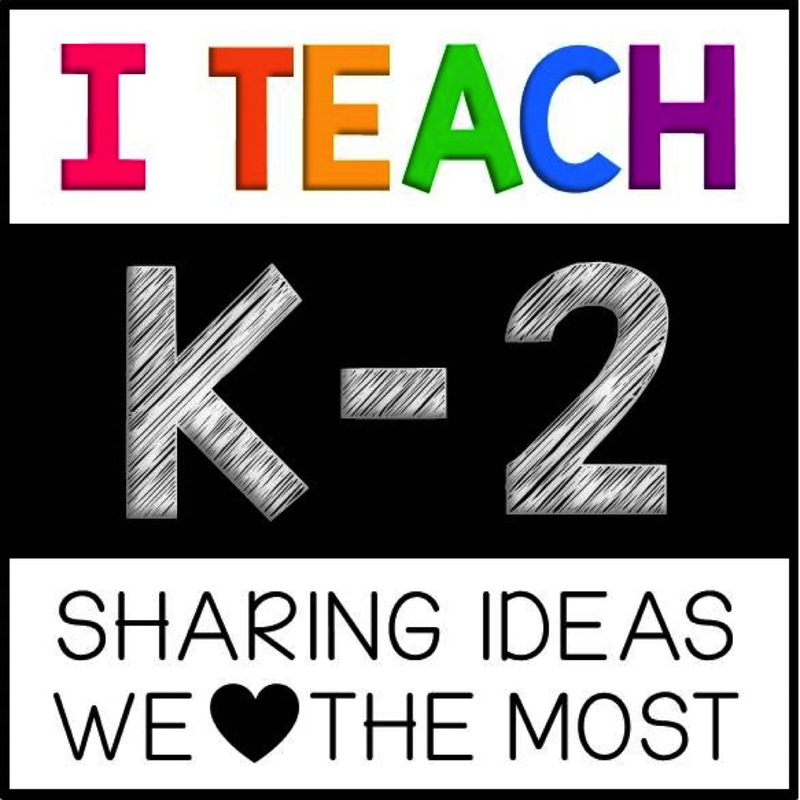 I am able to group my students and see what specific skills each group needs to focus on. 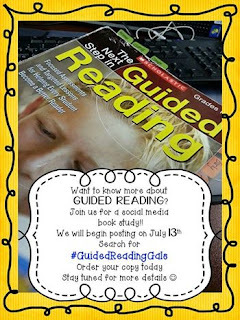 This is the perfect tool for help direct your Guided Reading time. I would be so lost without it. Now head on over to Laura's page to read more about Chapter 2 and check out some other linky posts about Chapter 2 while you are there! I am not being paid or compensated for my review of ESGI. This is my own personal thoughts and experiences with using the program.